“Probate court litigation” is a broad term that umbrellas a variety of situations, all of which have to do with a person’s estate after he or she has passed away and the time comes to review their will or trust post-mortem. The process of probate litigation typically includes identifying the assets of the deceased, deciding on the payment of taxes and other expenses, and, lastly, distributing the property among legal heirs as provided in the will. While some contested probate matters don’t result in animosity between the beneficiary parties, others certainly do, and the emotional characteristics of family matters, particularly following the tragedy of a loved one’s death, assures that probate court is no stranger to high tension and ensuingly complex legal battles. Who is involved in probate litigation claims? The Executor. This is the person who owns the property, and who is leaving the property to others during life (in a trust or gift) or at death (in a trust or a testamentary will). This person can also be called a testator, regarding estate plans that involve a will; or a settlor, for those that concern a trust. What is the difference between a will and a trust? A will is document that directs who will receive an executor’s property at their death; it appoints a legal representative to see that their wishes are fulfilled. A trust, interchangeably known as a “living trust”, is a plan that goes into effect as soon as it’s signed, such as monthly inheritance installments. These may be exclusively handled by an accountant, or by the executor if he or she is still living and able. The Trustee. Generally a third party, such as a lawyer, family member, Certified Public Accountant (CPA), or the bank or corporation that was granted fiduciary duty to follow the trust directives, and carry out the wishes of the executor, testator, or settlor in the interests of the beneficiaries. This person is generally paid out of the trust funds for their work. The Beneficiary. The person or persons who has the right to receive the gift, inheritance, or trust property. In your previous research, you may have discovered that pinning a precise definition for “probate litigation” can prove difficult. Many websites make the mistake of narrowing the field to so few categories, or over-broadening their language so liberally, that it becomes impossible to understand the exact implications of entering a probate dispute, and what qualifies in this sector of U.S. law. In fact, probate court and litigation can be a necessary legal path for a variety of situations, ranging from the issues of dysfunctional families; “nonstandard” or faulty estate plans; suing unscrupulous fiduciaries guilty of financial abuse; and determining mental incapacitation in a benefactor that would, if proven, disprove or invalidate their alleged final wishes. Will contests. This is a challenge to the validity of a will in the case that a fiduciary, such as a trustee, suspects that action was taken counter to one or more of a beneficiary’s best interests while they were still alive, in order to guarantee a greater inheritance for themselves, and/or deprive another of their rightful inheritance. Will and trust construction suits. These are requests that ask the court to determine the legal meaning or effect of a particular wording used in a will or trust. Estate plans—particularly those drafted by non-lawyers—are susceptible to ambiguous phrasings that can be subject to different interpretations. If the concerned inheritance is something desired by more than one party, “interpretations” can quickly pile up and form the basis of a long and complex legal dispute. 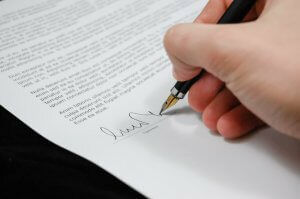 Make sure you work with a reputable estate planning attorney when drafting a will and trust. If the above occurs, a subsequent issue typically asks who should be appointed as the guardian to make medical decisions and handle financial matters for that mentally incapacitated person. … Guardianship contests. These matters can be especially delicate, as unintentionally assigning this privilege to an unethical representative can result in a number of its own legal issues, including a case of “undue influence”, which can affect the validity of a will if a testator is proved to have been acting in a lessened mental capacity, and a representative used this to their own or their client’s financial advantage. Trust modification and trust reformation suits. These are proceedings that request a court to change—or “fix”—the terms of a trust because, according to a trustee, something about the trust wording incorrectly communicates, or fails to communicate entirely, the testator’s wishes. Trust termination suits. This is a legal action brought to terminate a trust because the purpose of the trust has either been fulfilled, such as if the benefactor already awarded a benefactor their inheritance at an earlier time. Alternatively, a trust may not be fulfilled if, for instance, the benefactor stipulated a beneficiary may only receive their inheritance if they’ve married the correct person, achieved a necessary goal, or saw through all of the benefactor’s wishes, which the beneficiary has failed to do. It’s important to note that trustees are not entitled to a “general indemnity” (security or protection against a loss or other financial burden) from a beneficiary after the distribution of the trust assets, or termination of said assets. That is, once a beneficiary receives their allotted inheritance, they should not expect any additional funds, property, or estate rights. Breach of fiduciary duty actions. These are suits brought by beneficiaries against an executor, trustee, guardian, or agent alleging that one or more of these parties caused damage to the beneficiaries through their employment. The most common example is, as described above, financial abuse through the use of undue influence on a benefactor, such as having the benefactor sign a legal document they wouldn’t have agreed to in better mental health. All of the above described issues have specifically to do with probate litigation, which differs from several other categories that are often incorrectly lumped with it. Those categories include probate transactions, probate administration, as well as the original process of drafting the will and/or trust, which fall into other, slightly removed legal areas such as estate planning, tax law, real estate law, and family law. While elements of these categories may appear throughout your probate claim, we are chiefly concerned with issues that fall directly into the jurisdiction of probate litigation: a communicative matter between multiple contesting parties regarding alleged issues that have risen within or because of a will or trust. How do California laws treat probate litigation matters? As with all other legal practice areas, probate litigation regulations differ vastly from state to state. California laws affect a number of probate litigation areas and require detailed understanding in order to ensure you are acting in accordance with local laws, as well as ensuring that the will itself was written in accordance with local law. The remainder of this article will cover how California probate litigation are specifically designed and enforced. What are a spouse’s automatic rights in California probate? Also known as a Spousal Share, this area of probate litigation becomes more complex in community property states, of which California is one. In your state, if an official marriage licence doesn’t exist between the deceased and a plaintiff, property owned by one spouse before a marriage remains “separate property”—property received through a gift or an inheritance that was separated from a couple’s shared or jointly purchased possessions—and the plaintiff may not have an automatic claim to anything but their own separate property. How are financial elder abuse claims handled in California courts? The legal standard for proving financial elder abuse is, perhaps reassuringly, much lower than you may think: the concept of “abuse”, in the sense of financial abuse, is fairly easy to prove through bank records. It is also important to understand the need to provide circumstantial evidence because such conduct almost always occurs behind closed doors, with no witnesses at all, in order to corroborate that the executor would not have granted a person access to their assets in a more quality mental state. In California, the victim or representative of the victim must prove that the defendant took, hid, appropriated, or retained the victim’s property, and/or assisted in taking, hiding, appropriating, retaining the victim’s property, for a wrongful use with the intent to defraud, and that the victim was harmed because of these actions. Does California have a statute of limitations on filing challenges to an estate? An executor or administrator is required to file an inventory and appraisal of the decedent’s property with the court within four months of the Letters Testamentary or Letters of Administration being issued (depending upon the circumstances, courts may extend this time limit, though very infrequently beyond 8 months). and, if a person is a minor when the will is put into probate, that person does not have the legal right to file a contest because of their age; therefore, he or she is given two years after reaching the age of majority to file a contest, if he or she so desires. Lastly, if a second, or otherwise more recent copy of the will is found that is believed to override the original will, the date of probate on the new will takes precedence from the date of probate on the original will. Which court will handle my probate claim? A number of states, including California, do not have a separate court specifically constructed to hear probate matters. In such instances, local courthouses will be able to accommodate the proceedings. For especially high profile, or extremely complex cases, your probate litigation claim may require the adjudication of California Superior Court. Need Help with a Probate Claim? Ask the Lawyers! If you have questions or concerns about probate laws or litigation, then don’t hesitate to ask the lawyers. Otherwise, to find an attorney in your area, consult our local listings.